I established Ulrich Ecoventures CC in March 2011 to consolidate my various personal interests in the environment, nature and people. As a natural scientist who is passionate about education and awareness creation, I am in an ideal position to transform scientific information into products and services that are accessible and of interest to the general public. 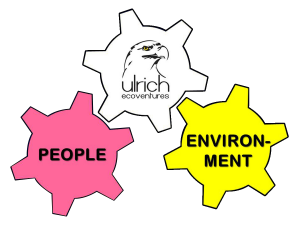 Ulrich Ecoventures is thus a link between people and the environment. In my other (professional) life I am the education manager of the National Zoological Gardens of South Africa in the City of Tshwane.